5G is like an adrenaline shot to the heart of your communications network, and that’s going to have big implications for the factory floor. 5G Manufacturing-With the upcoming arrival of 5G, internet speeds will become much faster and we will welcome in a new era of technology. This should roll out nationwide in 2019 and the early parts of 2020, but what does this mean for manufacturers and how can they ensure they are prepared for this new wave of technology? We could also envision more real-time manufacturing monitoring. Together with growing centralized cloud-based software around Artificial Intelligence (AI) and computing horse power, video feeds could be monitored and alerted upon for defects, assembly, temperature (with the proper video equipment), or safety issues. Instead of using WIFI (see the new WiFi 6 standard), 5G can deliver the promise of mobility and can be a better choice with environments with non-stationary processes. Manufacturers will also be impacted when it comes to indoor connectivity challenges, as74% of U.S. workers in the warehouse and enterprise industries report they ‘frequently’ have issues with connectivity. Mobile coverage is especially essential, as employees now rely on it on a day to day basis. Carriers are already planning massive infrastructure upgrades in their towers, and due to 5G frequency bands, will also need more connectivity points than ever before. This could lead to even better connectivity indoors which is a top priority for manufacturers. Whether it is a worker taking inventory on a mobile device or tracking machine maintenance, having better connectivity indoors will lead to more efficient plants. 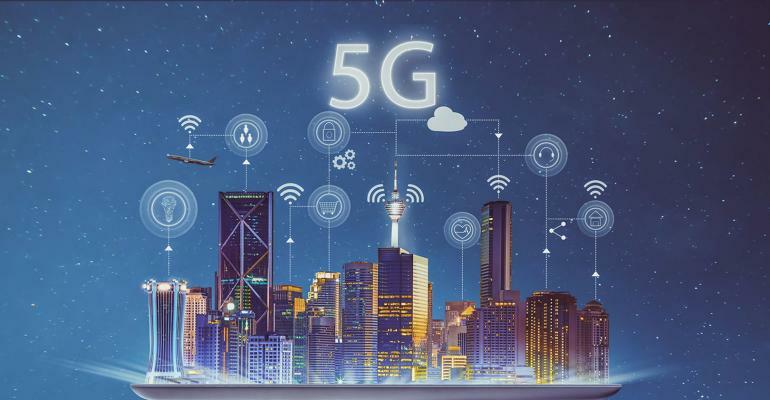 The post Four Ways 5G Will Change Manufacturing appeared first on erpinnews.